Moisture, high levels of humidity and the structure of mold spores can all affect mold growth. Mold growth is a major problem in many businesses in Farragut, TN and many business owners are frustrated to see mold growing back in certain areas after it has seemingly been removed. 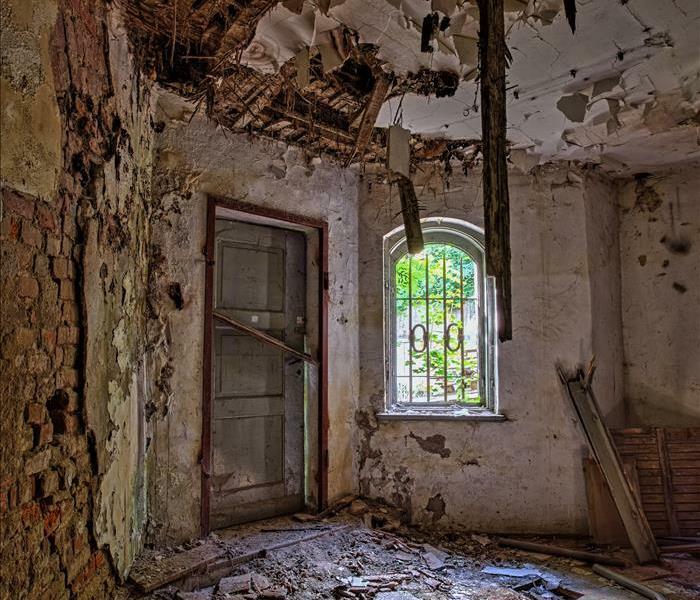 However, there are various reasons mold tends to grow back in businesses. One of the primary reasons mold regrows in particular areas has to do with the amount of moisture. 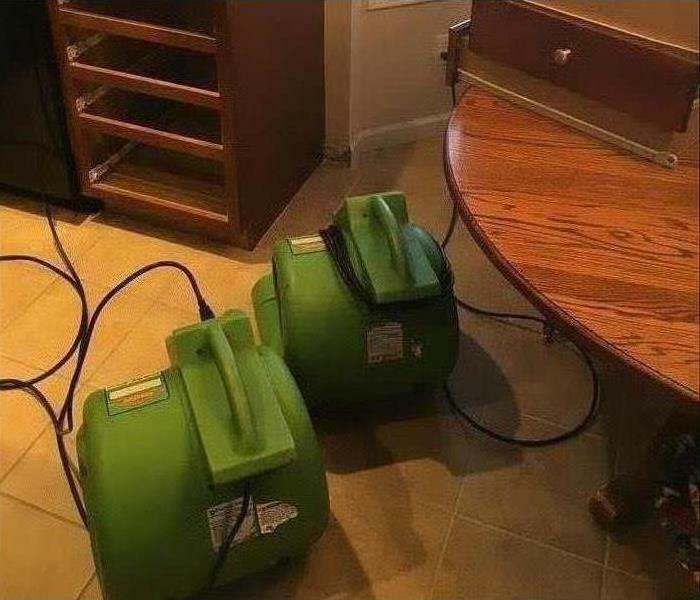 If a particular area has been affected by water damage, quickly removing the water often isn’t enough. It’s often helpful to ensure that areas stay dry long after the initial water has been removed, as moisture left behind can make it significantly easier for mold to return. The airflow in a business can affect whether or not mold regrows. With too little airflow in a building, levels of high humidity can occur and accelerate the rate of mold growth. However, too much airflow can also increase the rate at which spores spread. In order to know what level of airflow would benefit your business and make it more difficult for mold to regrow, it’s often helpful to speak with mold remediation experts. In addition to high levels of moisture and humidity and significant airflow, the structure of the mold spores also affects mold’s ability to regrow in a particular area. Hyphae are thin, strand-like structures that are present in fungi. The hyphae are solid enough to shield the spores of mold from dissipating and the hyphae’s thin strands also help to promote the spread of the mold spores. 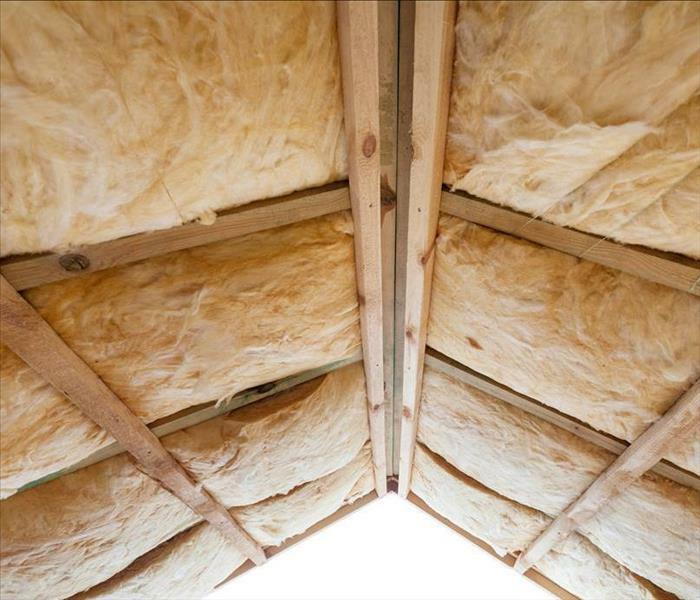 Removing every individual mold spore is neither possible or beneficial, but the combination of a humid environment with too much or too little airflow and the spores’ structure makes it easy for regrowth to occur. Moisture, high levels of humidity and the structure of mold spores can all affect mold growth. By understanding the factors that make mold more likely to grow, you can take measurements to prevent both growth and regrowth in your business. Taking quick action to dry and restore your apartment will yield the best end results. As a renter in Knoxville, TN there is a fine line between what you can tolerate and what is unacceptable. While most renters have come to expect a few squeaks in the floors and quirks in the appliances, living with leaking appliances can be a huge hassle. From a pipe burst to a leaking dishwasher, you should know these three things about dealing with water damage in your apartment. These simple measures are quick and easy and may be the best way to prevent further water from entering the equation. Talk to your landlord as soon as possible about addressing the problems at hand. 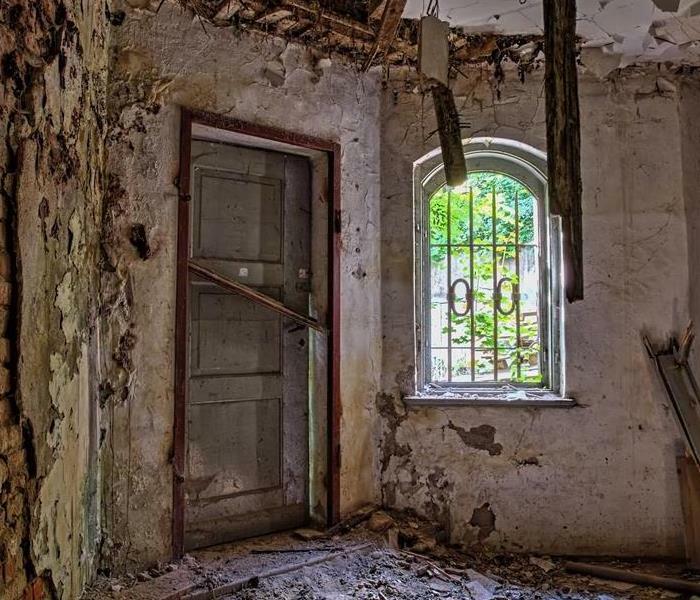 Whether the property owner is ready to take immediate action or not, it may be in your best interest to get started on the process of cleaning up. 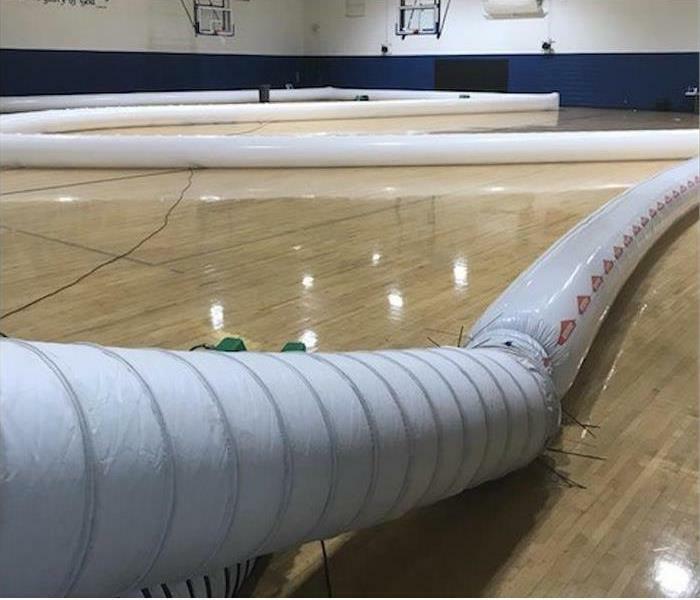 Finding a local water restoration crew to help you with large water incidents, such as a pipe burst, can be helpful in documenting and safely treating the affected area. If any of your personal belongings sustain damage in an apartment water leak, contact your insurance company to learn more about your coverage. 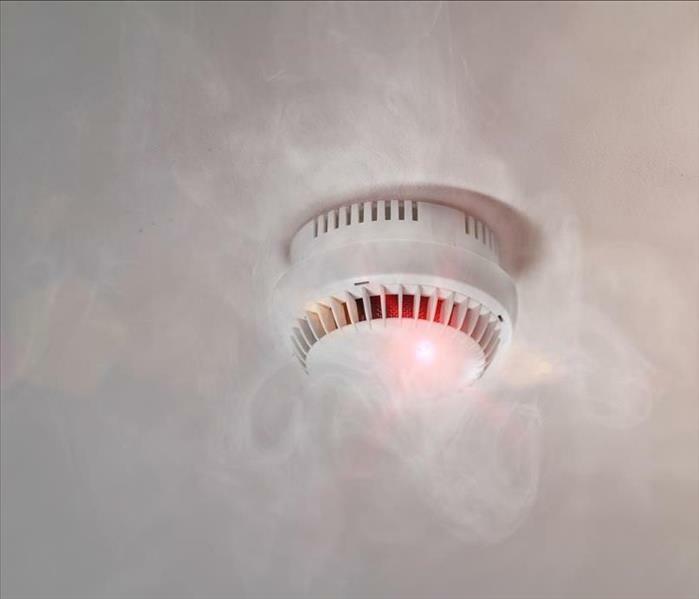 Many renter’s insurance policies approve claims in which water damage permanently ruins personal goods left in the wake of a residential water leak. However, if flooding continues into neighboring units wreaking havoc, renter’s insurance may not have you protected. If you are faced with significant water damage from a pipe burst, begin the restoration and clean up process sooner than later. Taking quick action to dry and restore your apartment will yield the best end results. Disaster response teams from restoration services like SERVPRO are trained to move quickly in the event of a major natural disaster. When a fire or storm damage affects your Knoxville, TN business, one of the first actions you might take is to file a claim with your insurance company. However, if a natural disaster has caused widespread destruction in the area, your local claim services might be inundated with calls. If so, then working with a storm damage cleanup service may offer several advantages when it comes to getting your claim prepared and filed promptly. Some emergency response services partner with insurance companies to assist them with multiple claims in times of extreme need. When you work with these vendors, you may have more of a direct line to an agent if you need to ask questions, want to schedule a visit for the insurance adjustor or other claim services. This can be to your advantage, no matter how many other businesses in the area have been affected. When your business is damaged by fire or flooding, it can be difficult to gauge how much damage has been done simply by eyeballing the property. 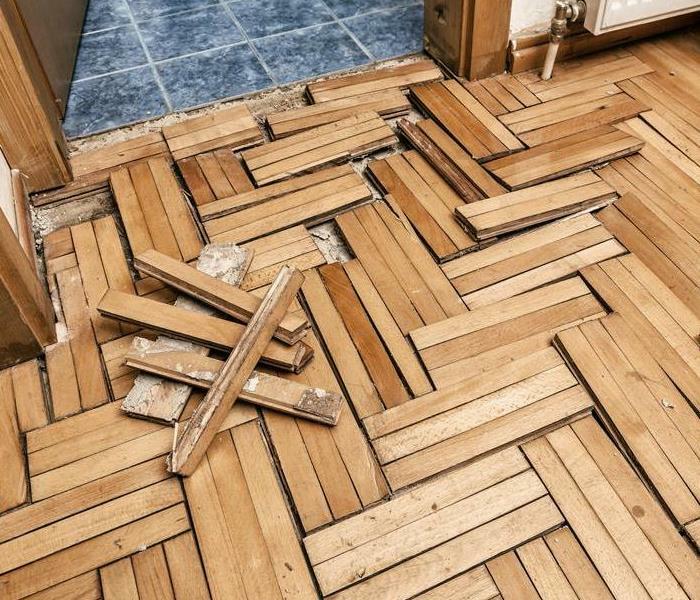 For example, in the case of flooding, interior walls and the padding material under carpeting may have been damaged by moisture. However, since these problems are not plainly visible, they may be overlooked. Having a professional storm damage service survey your building may result in a more accurate estimate. 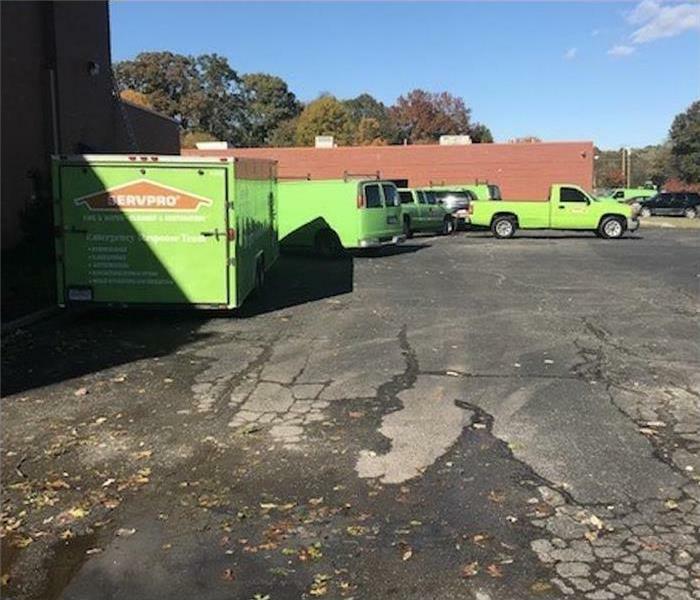 Disaster response teams from restoration services like SERVPRO are trained to move quickly in the event of a major natural disaster so they can perform mitigation duties and attempt to reduce the amount of damage your building might suffer. The faster they arrive at your business, the quicker you can get a complete report and file your insurance claim, which may help streamline the process. When disaster strikes your Knoxville, TN business, it can be difficult to know where to begin when reporting the damage to your local insurance claim services. However, working with a storm damage and cleanup service may offer several advantages that help you get back on your feet. For more information on Emergency Preparedness, contact your local SERVPRO® of West Knoxville/ Farragut Professional. There are various steps you can take to prevent mold from appearing in your home’s bathrooms. 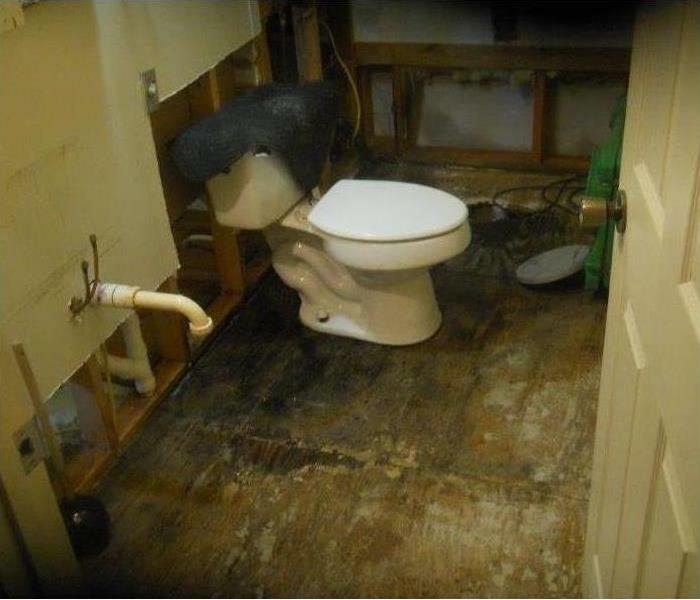 Finding water damage in a bathroom in your home in Farragut, TN is often frustrating enough on its own. Unfortunately, mold damage often follows. However, there are various steps you can take to prevent mold from appearing in your home’s bathrooms. Mold prevention doesn’t have to be complicated. Making sure the bathrooms in your home are kept clean make it harder for mold to grow in those areas. Using disinfectant cleaning supplies can discourage mold growth. After cleaning your bathrooms, it’s also helpful to dry down the surfaces you’ve cleaned in order to reduce the moisture in your bathroom, which mold often needs to grow. 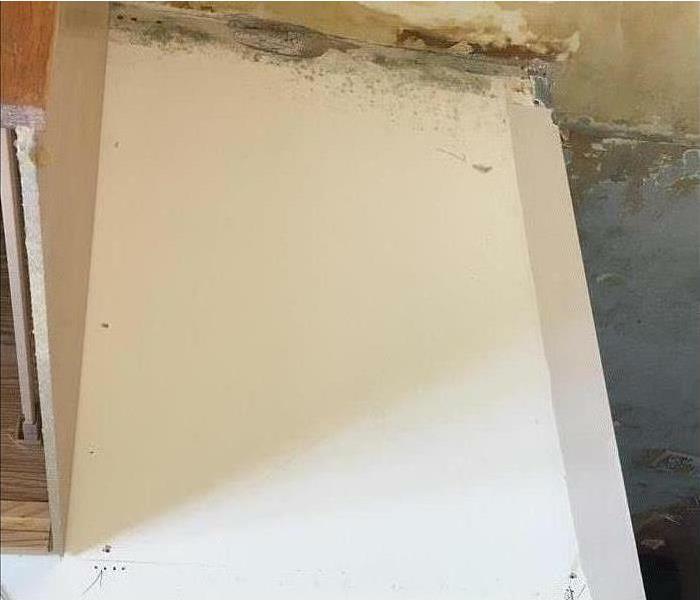 Water damage makes mold substantially more likely to grow, and routinely checking in areas where mold commonly grows can be helpful when it comes to noticing a leak. However, minor leaks aren’t always immediately apparent, and the longer leaks go unnoticed, the more damage that will likely occur. If you notice your water bill is higher than normal for no discernable reason, this can indicate that there may be a leak in your bathroom. If your home has been badly damaged by water, it might be useful to contact water and mold damage restoration experts. Bathrooms are often humid, particularly after the shower or bath has been used. Avoiding using the shower or bath isn’t an option, but there are ways you can keep humidity levels low in your home’s bathrooms. However, turning on a fan while showering or bathing can help to decrease the humidity in the room. If you notice that the bathroom is still excessively humid even when using a fan, then you might want to consider using a dehumidifier to further keep the humidity low. Although you can’t always avoid water damage in your home, it is often possible to prevent mold from growing in your bathrooms. Keeping your bathroom clean, monitoring your water usage and limiting the levels of humidity in your home can prevent mold from growing in your bathroom. SERVPRO of West Knoxville/Farragut is ready to respond! When you work as an insurance agent in Bearden, TN, it can be helpful to have a list of preferred vendors when a client needs restoration work done on their home. This can allow you to move forward more quickly and reduce the effects of decision fatigue that you may feel during the claims process. Here are some reasons why adding SERVPRO to your list is a good idea. Because they are certified by the IICRC, the company has a set of standards that they must adhere to. All employees will be trained to follow the necessary procedures to produce the highest quality work. In order to provide their insurance clients with the best, the company has their own standards for their vendor program franchises as well. There are several guidelines that must be followed for a franchise to receive client referrals. They also perform background checks on employees, so you can feel comfortable knowing that you will have only the best workers for your client. As an insurance agent, your time is valuable. SERVPRO is available 24 hours a day, so they can get started on the restoration process as soon as you need them. They can begin mitigation within a few hours of your call, which means faster and less costly repairs. When you are working on an insurance claim, you have a lot of information to keep track of. The CIC gives you access to important information like scanned documents and photos of damaged property all in one place. A preferred vendors list is a great tool for an insurance agent. Adding a high-quality damage restoration company like SERVPRO to yours will help both you and your clients. 4/14/2019 - What Causes Mold Regrowth?